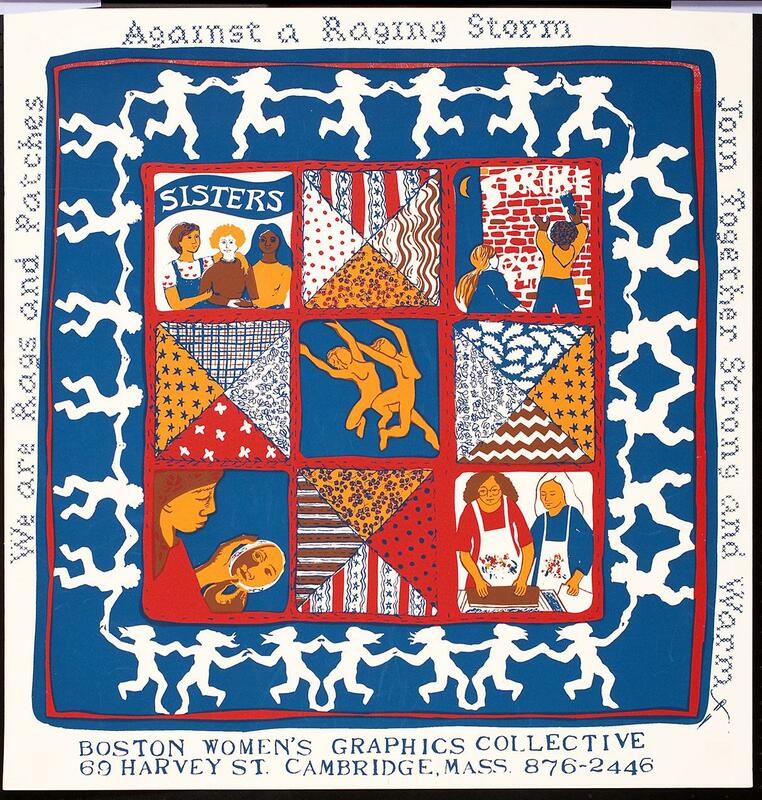 inscription: The bottom edge has "Boston Women's Graphics Collective 69 Harvey St, Cambridge Mass, 876-2448." Poster has an image in the center of a quilt. 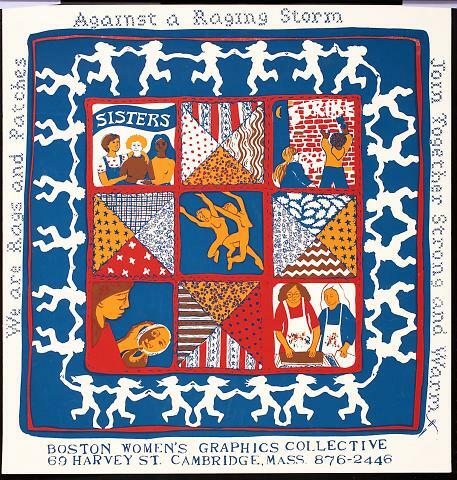 The quilt has different patches of patterns and images of women working together. Around the edge of the quilt are white shilhouettes of female figures in different postions holding hands. Around the edge of the poster is cross-stich letters. They read, "We are Rags and Patches Against a Raging Storm Join Together Strong and Warm."